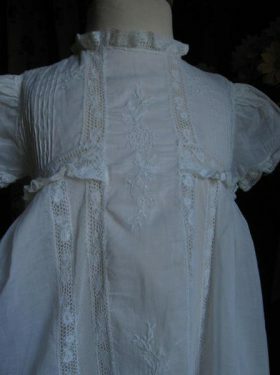 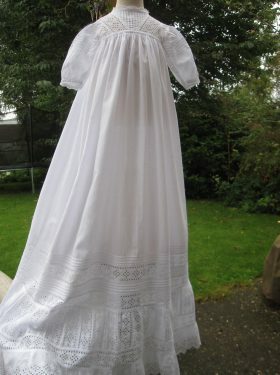 Beautiful muslin christening gown dating from the Edwardian period. 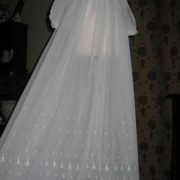 It is a charming gown featuring the most beautiful embroidered muslin at the hemline and on the yolk. 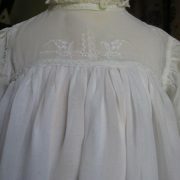 The short yoke has a dainty embroidered front piece and lovely feather stitching on the seamline joininh yoke to skirt. 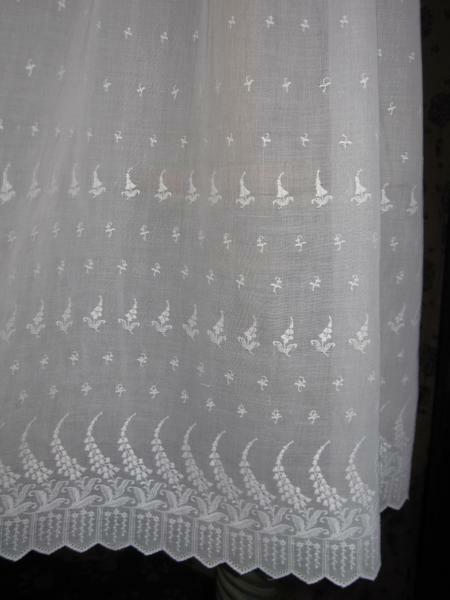 The 3/4 length sleeves are edged in the same feather stitch and narrow lace. 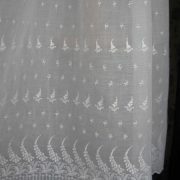 The skirt is long in length and full and has this lovely embroidery adorning the lower half of the skirt to the hemline. 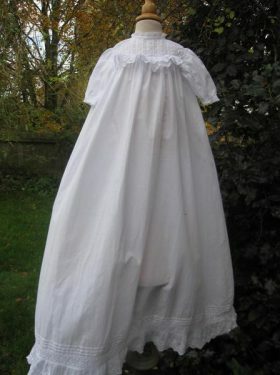 Ribbon ties fasten the gown at the back. 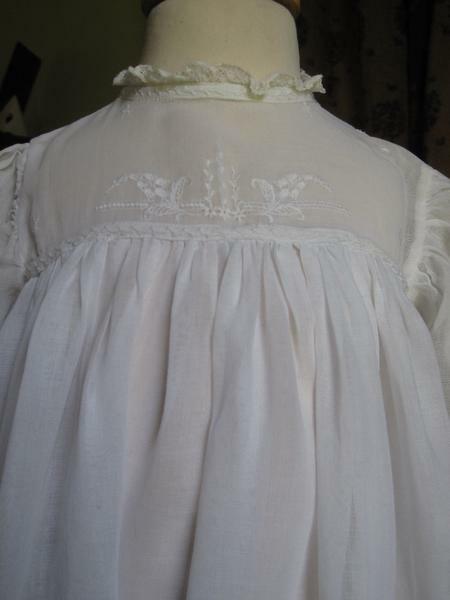 All in all, a delightful example of an Edwardian embroidered muslin gown. 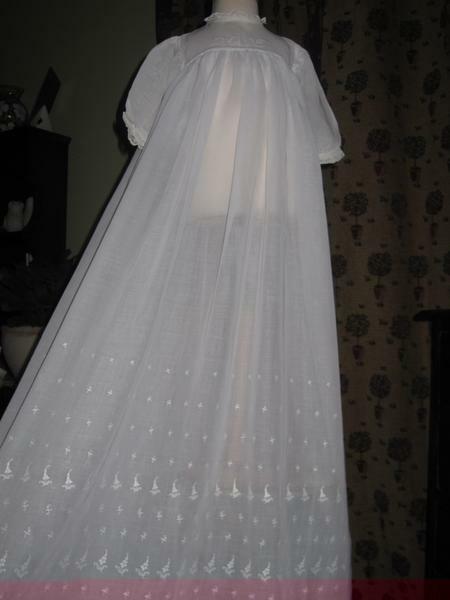 As the gown is fairly thin it may be necessary to wear an Edwardina petticoat underneath. 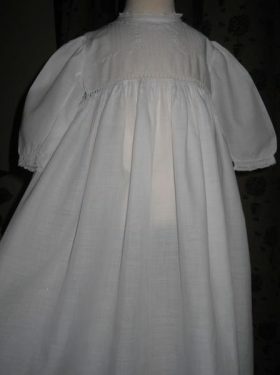 These can also be purchased from Little Doves.